Without doubt this is the most accurate and authentic rendition of the 757 ever created. The systems and flight characteristics reflect those of the real airliner. Hundreds of animations, critically-acclaimed flight models, accurate avionics and a global selection of liveries. The 757 is acknowledged throughout the world as the leader in short to medium range operations. It is hugely popular with operators, crews and passengers and now a professional quality re-creation of this great airliner can be flown in Flight Simulator X or 2004. This spectacular 757 expansion has been developed by the experts at Captain Sim and is a technical masterpiece. It comes in -200, -300 and freighter variants with an impressive selection of airline liveries and different engine variants. If you want the finest 757 for your simulated fleet then look no further – this is the Captain’s choice! 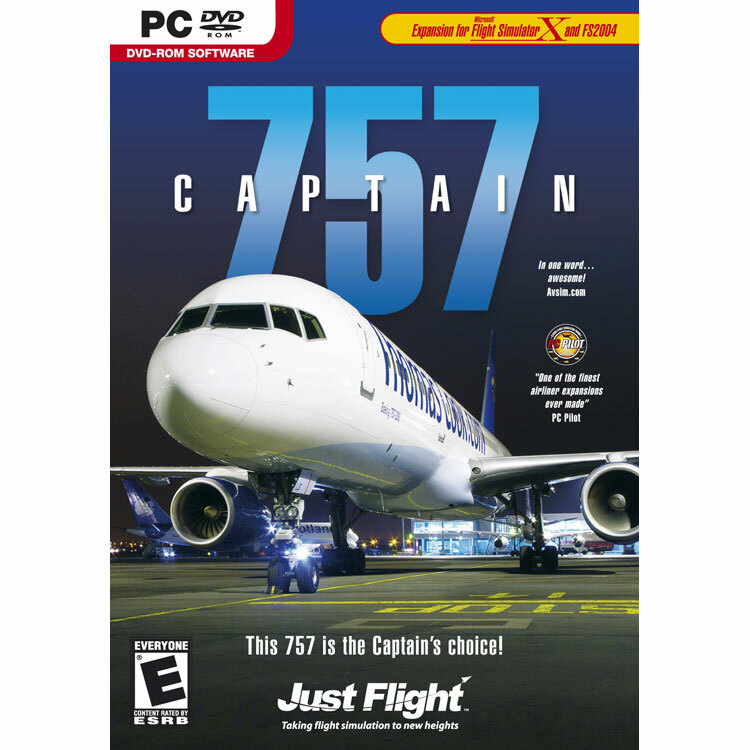 - 757 Captain features literally hundreds of animations including control surfaces, wheels, engines and doors plus unique interior features such as internal doors, windows and even TV screens with animated pictures! - Choose the -200, -300 or Freighter variants with Rolls Royce or P&W engines and a wide selection of different liveries - High quality flight models and avionics include a custom designed Flight Management System, weather radar and much more - Features the Captain Sim trademark Aircraft Configuration Editor that lets you set up the 757 exactly as you want - Read all about it! Includes extensive printed manual.